Outdoor adventure and natural relaxation are paired for you on this 6 hour excursion that explores the most spectacular places in the Sitka area. The excursion begins at our outfitting shop where you will be geared up for the trip. 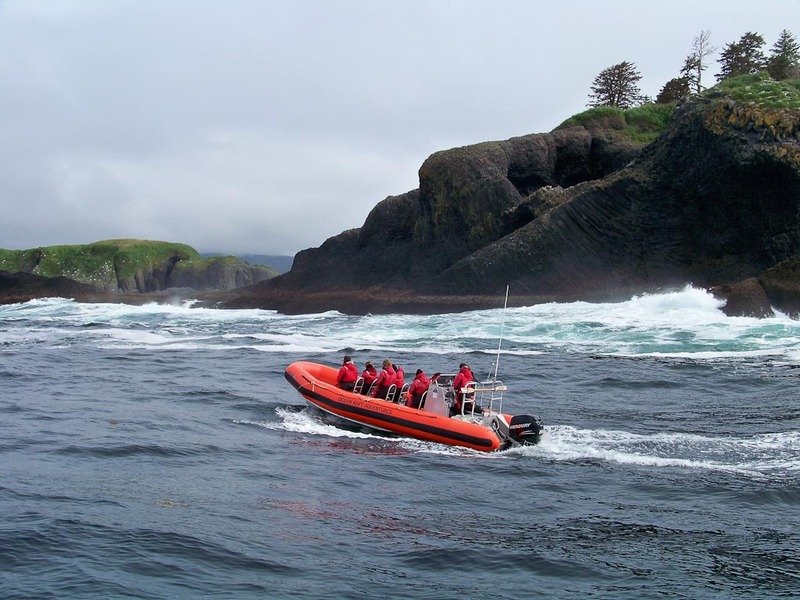 After gear up, depart aboard high performace ocean rafts to explore the volcanic coastline of Kruzof Island where Mt Edgecumbe volcano is located. 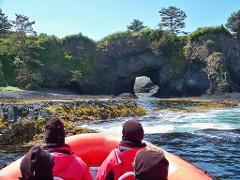 Along the way visit low island where Sea Otters raft up in the kelp and harbor seals haul out on the rocks. Then it's of to St Lazaria Island a sea bird sanctuary this volcanic formed island is home to thousands of seabirds and has beautiful rock formations and a sea cave. 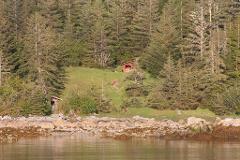 After exploring and viewing wildlife for a while your captain will navigate across the sound to Goddard Hot Springs. At the hot springs your captain will put you ashore to take a soak in the geothermal heated springs. We recommend wearing your bathing suit underneath of your clothes this will make it easier to get in the springs. 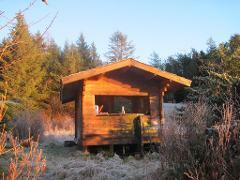 You will also need to bring a towel and sandals or shoes that you don't mind getting wet. A small cooler is available if you would like to pack cold refreshments. The time at the springs is not guided you will be provided with a radio to communicate with the boat captain who will be standing by out in the bay. Two hours at the springs will soak all of your cares away and leave you feeling refreshed. 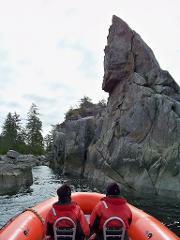 After your soak its back aboard the raft for the ride through the island passages and keyholes of the south sound back to Sitka. 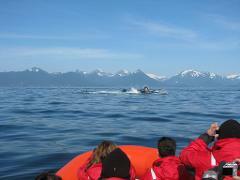 This excursion is a truly Alaskan experience you are sure to remember.